1. 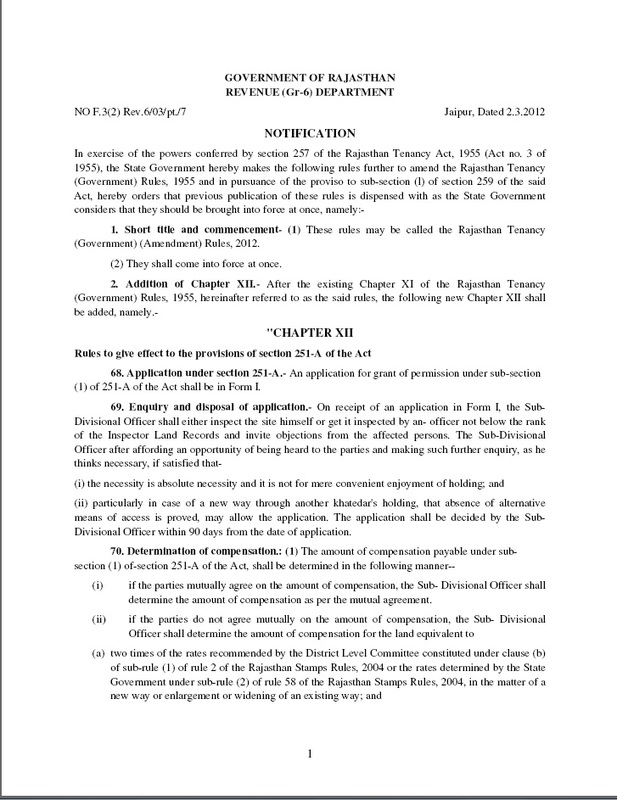 Today I provide Notification no F.3(2) Rev.6/03/pt./7 Jaipur date 02.03.2012 by Rajasthan Government Revenue Gr-6 Department. 2. This Notification is in English language. 3. This notification is issued by Rajasthan Government Revenue Gr-6 Department. 4. 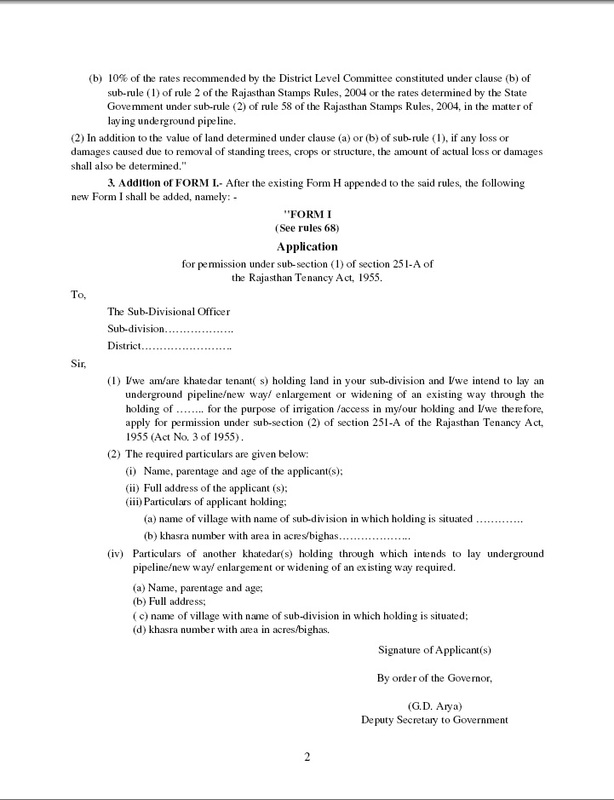 Rajasthan government issue this notification for process to get new way through other farmer khatedari land ( dusre kisan ki khatedari me se rasta pane ke liye.). 7. 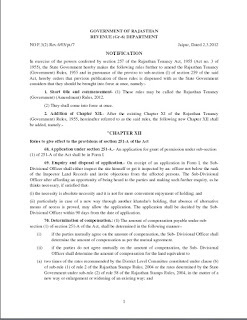 Notification regarding implementation of Rajasthan Tenancy Act 1955 section 251, 259, 251A also known as Rajasthan Tenancy Government Amendment rules 2012 with format of application forum for way of underground pipeline, new way,enlargement or wide an existing way. Rajasthan government notification to change limit of land for allotment of school , collage, dharmashala, university, hospitals and other public utility purpose.